Annual Festivals / Fauna & Flora in or near Hermanus, Cape Overberg in the Western Cape, South Africa. Every year, the Walker Bay Orchid Show is held at the same time as the popular Whale Festival in Hermanus, which just adds to the fun and festivities. Members of the Walker Bay Orchid Society have been meeting together every month since 1994; sharing their insights, advice and successes. Their gorgeous blooms range from vivid cattleyas to minute indigenous varieties that startle their spectators in their detail. Underlying every flower, though, is a deep and heartfelt passion for everything orchid. Every year, this event has even more support than the year before, even among members of the public that do not have much experience with these stunning flowers. This year, visitors can, once again, look forward to impressive displays, incredible variety, plants for sale, and an inviting tea garden that is the perfect place to enjoy a hot cuppa and a sweet treat. The members that are exhibiting are always happy to share their experience and advice with other keen gardeners, as well as the lessons that they’ve learnt over the years. So, visitors can find out more, and then add these beautiful flowers to their own homes and gardens. Of course, not all orchids bloom at this time of year, so another mini display is held in April or May to showcase even more varieties. This is at the Checkers Centre in Hermanus. 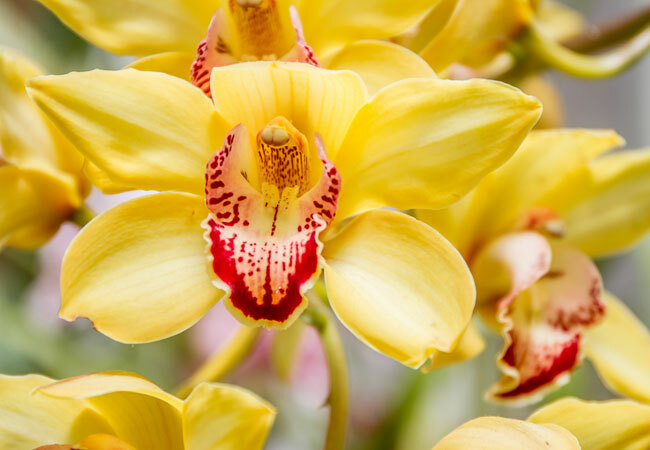 Come and be part of the vibrant colours and intoxicating fragrances at this year’s Orchid Show. The entrance fee is only R15 per person (R10 for pensioners). It is open from 09h00 to 17h00 on Friday and 09h00 to 16h00 on Saturday. In 2018, the beauty of orchids will be celebrated on 28 and 29 September at St Peters Church in Hermanus.